The Island History Trust was a community history project dedicated to recording and preserving the history of the Isle of Dogs and the people who live there. People on the Isle of Dogs started collecting photographs and reminiscence in 1981. This was at the time when the docks and most of the local factories had just closed. There was unemployment and an atmosphere of uncertainty. Feelings of loss of local identity and of traditional ways of working and living, were countered by the activity of recording and preserving local history. The archive consists of photographs and ephemera relating to people and places on the Isle of Dogs in East London. Most of the material comes from the 20th century; a small percentage comes from the late 19th century. The Trust held over 5,000 images and 1,500 items of ephemera. The photographs (which are copied from originals) were available in hard copy and on screen, together with captions, which are also indexed by name and place. A search engine allowed individuals to be traced in images. The ephemera was available in hard copy, via both hard copy and digitised catalogues. 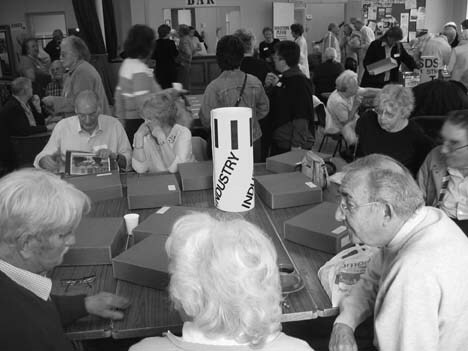 The archive was funded via a mixture of sources, including sales, donations, subscriptions, local sponsors, local government and charitable trusts. As a registered museum and charitable trust with one part-time worker and numerous local volunteers, the Island History Trust archive was run on the principle that everything in it belongs to the community which created it. The Trust’s Collections are now managed and maintained by the London Borough of Tower Hamlets Local History Library and Archives in Bancroft Road, Mile End, East London, where they can be viewed during public opening hours. The Friends of Island History Trust formed on the 7th June 2014; following on from the Island History Trust, to continue recording and sharing the History of the Isle of Dogs.